Visiting gringos in Mexico are sometimes surprised to find out that the alluringly named Torta has quite a bit in common with a plain ol’ sandwich, as if all local menus should be, well, Mexican right?! 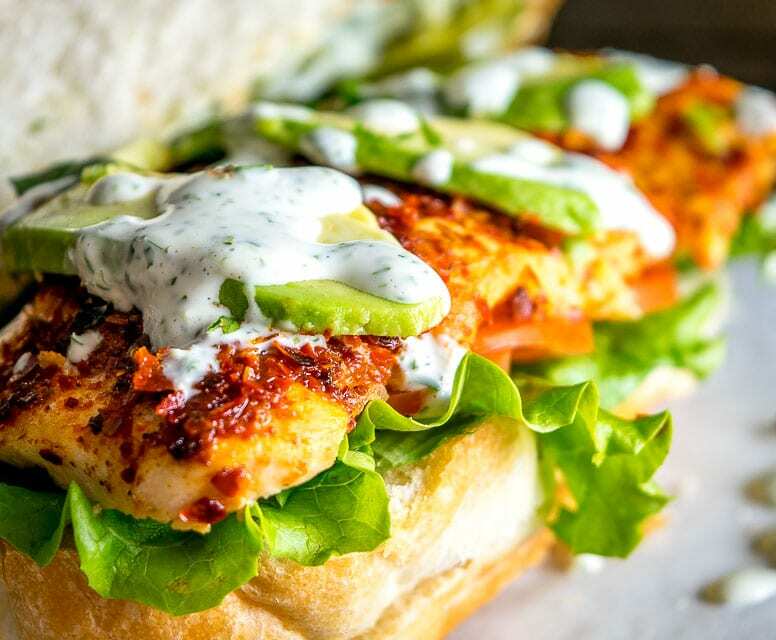 Sure, a Chicken Torta is essentially a chicken sandwich, but serve it up with a few key ingredients and the sandwich realm you grew up with will explode into new territory. In other words, it’s no longer a plain ol’ sandwich, it’s now a Torrrrtaaaaa…. And in particular, it’s the Cilantro Lime combo that might have you coming back to this sandwich again and again. It’s a vibrant, zippy sauce that will demand to be gooped on all sorts of kitchen delights, so it’s definitely worth adding it your arsenal. Give it a good whirl until combined. It should combine easily, but if not you can add a splash of water. You’re left with a flavorbomb sauce that has the potential to alter the course of humanity. The lime and cilantro flavors should be at the forefront of the sauce so definitely taste test and add more if necessary. And keep in mind that there’s a great alternative if you are shying away from using mayonnaise. Similar to the chipotle mayo we use in our Mexican Cuban Sandwich, you can substitute plain Greek yogurt for the mayonnaise and still get a great tasting sauce. If you do end up using Greek yogurt then keep in mind that adding just a dash of cream or mayo can significantly improve the flavor if it’s not up to par for your taste buds. There’s lots of leeway on cookery for the chicken. These sandwiches have become an emergency meal for me, i.e. need food now do not want to cook. Baking the chicken breasts can simplify things so it’s my default lately. But of course you are welcome to grill or saute the chicken. (You could even use the Milanesa cutlets that we made in our Torta de Milanesa). I usually add butter to a baking dish, dredge the chicken breasts in the melted butter, and then season them liberally. 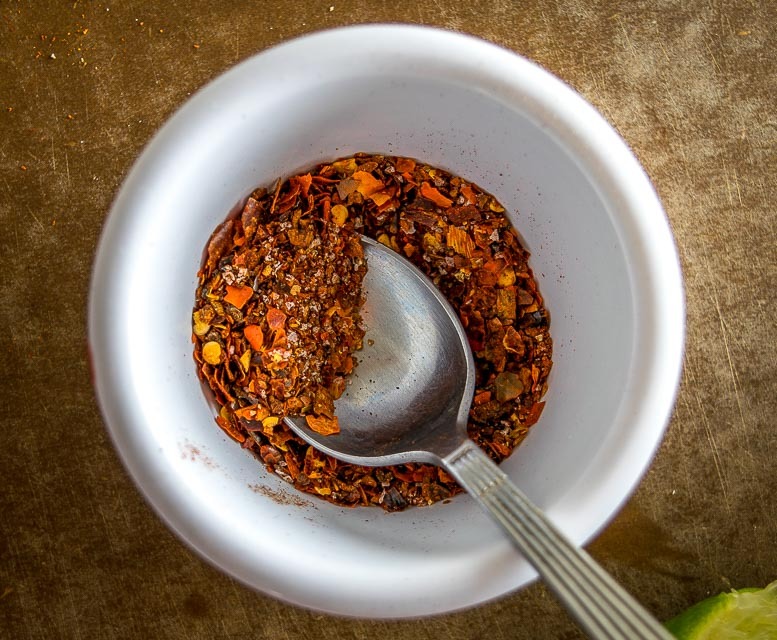 All you really need to season the chicken is salt and pepper, but adding some ground chili never hurts! The seasoning for this batch was a combo of ancho chili powder and ground New Mexican chilis. 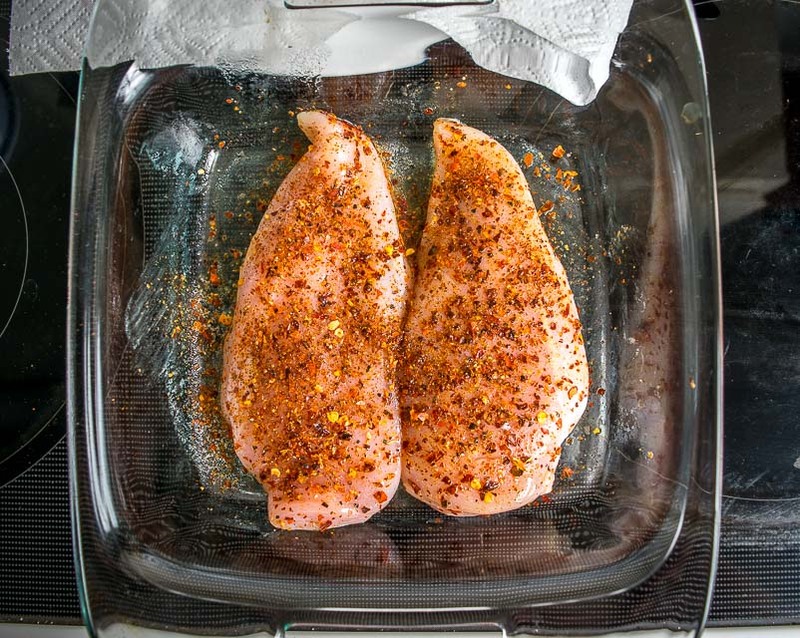 Bake the chicken for approximately 15 minutes at 450F or until the center of the breasts are no longer pink. Once you pull them out of the oven, cover with foil and let them rest for a few minutes. One other thing I want to mention about baking chicken is the brine I occasionally use. 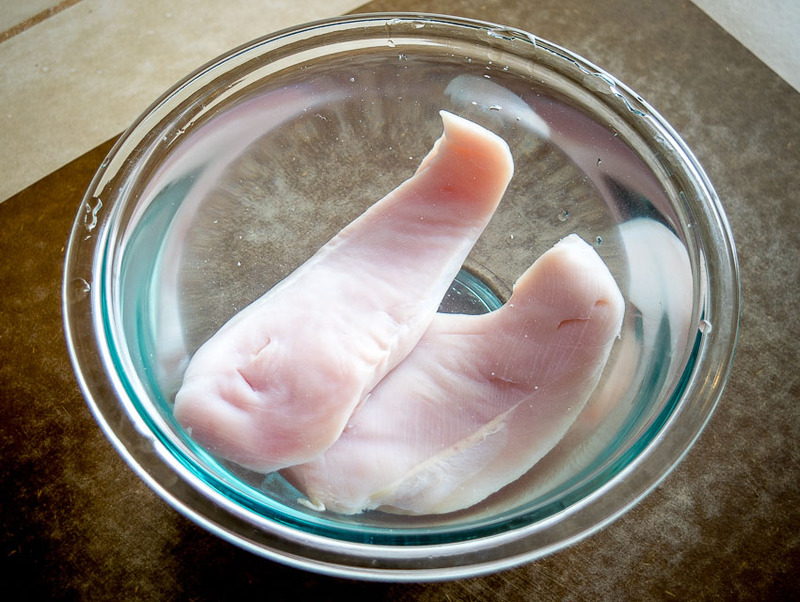 Soaking the chicken breasts in a salt brine before baking them can lead to incredibly moist and juicy chicken. 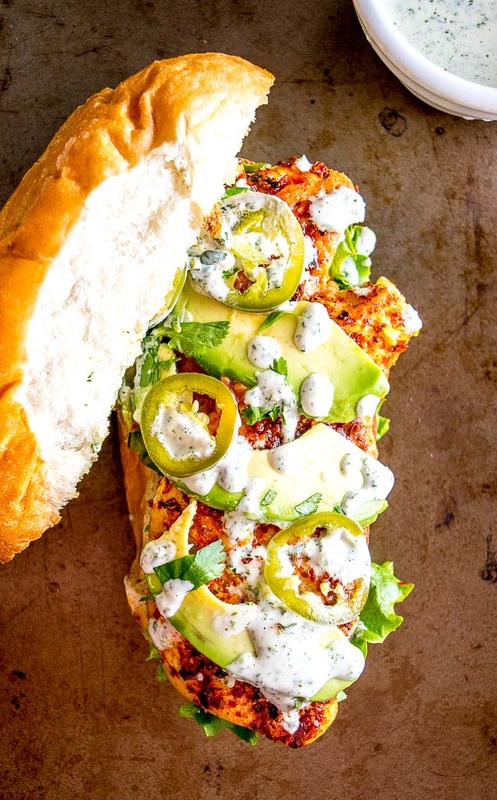 It’s a great technique to experiment with but I’ve stopped brining the chicken for these sandwiches because there’s already someone in the room hogging the flavor spotlight (hello Cilantro Lime Mayo!). But when the chicken is the main attraction of a meal then I am more likely to brine them. Just something to keep in mind for the future; it’s unreal how moist and juicy a baked chicken breast can be after brining. I think the sandwiches taste best when they have some heat. There’s 1/4 jalapeno in the Cilantro Lime sauce and this will give it a mild heat. 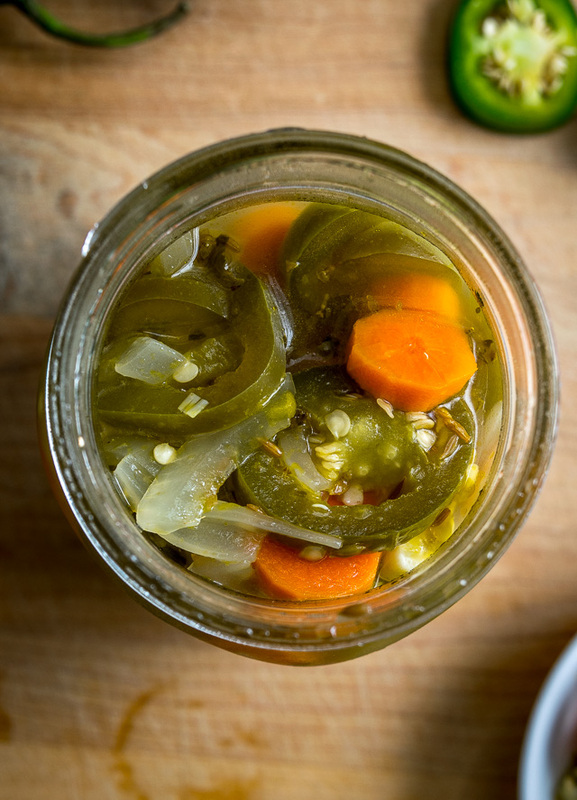 I usually add some of these Pickled Jalapenos to the sandwich to increase the heat but you can consider this optional. 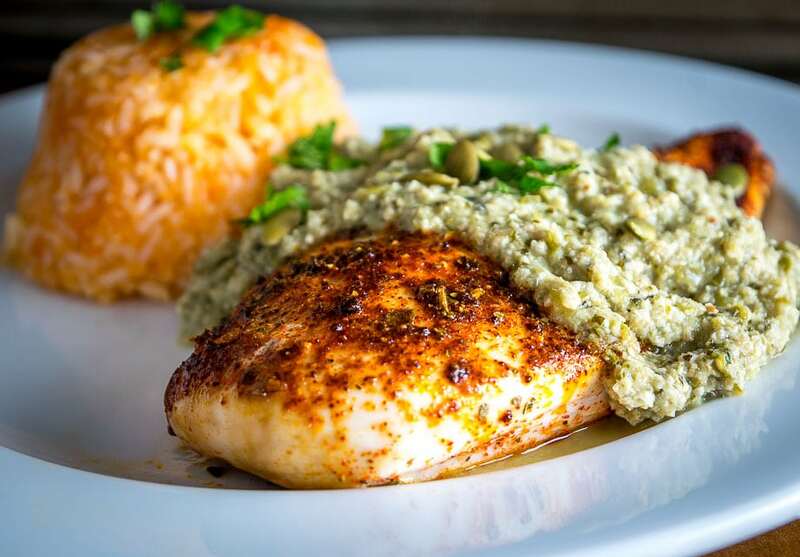 If you don’t want to add heat so directly you could always make a more fiery batch of Cilantro Lime sauce by adding more jalapeno to it (start with 1/2 jalapeno and taste test). Tortas are usually served up in bolillos. 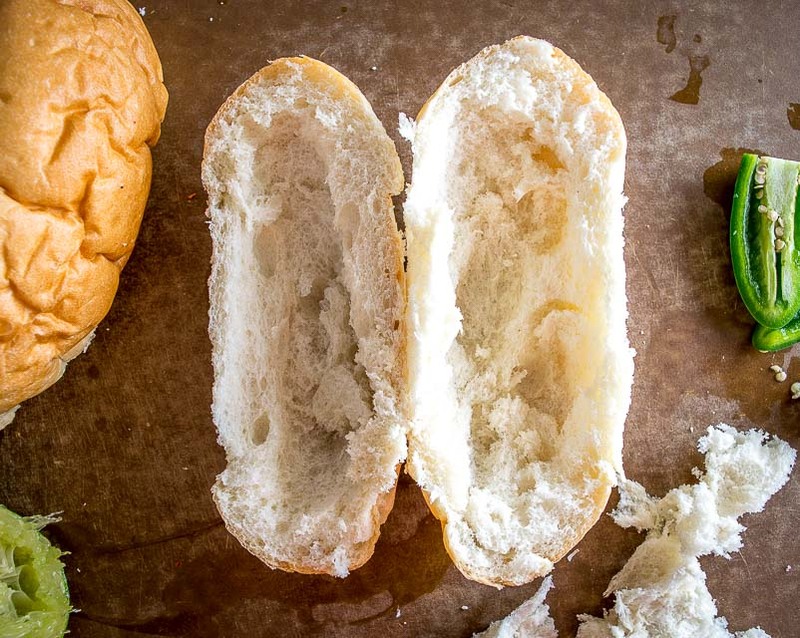 The same visiting gringos are sometimes surprised to find out that a bolillo is a simple sandwich roll, so you can serve these sandwiches on just about any type of roll. It’s worth keeping in mind the bread-to-chicken ratio; too much bread is no bueno. I usually tear out and discard the inner portion of the rolls and stick them in the oven for the final few minutes of the chicken bake. And definitely serve up your Chicken Tortas with some fresh avocado slices. The avocado pairs naturally with the Cilantro Lime sauce and it is delish; you could even experiment with blending some avocado into the Cilantro Lime sauce if you’re feeling crazy. Tomatoes, cheese, lettuce, and freshly chopped cilantro are also great options for a final touch. Okay don’t forget that the Cilantro-Lime sauce wants to be the star of your Perfect Torta. Once you get good at whipping up your preferred style of that sauce then all sorts of possibilities will open up! Preheat the oven to 450F. Add 1 tablespoon of butter to a baking dish and put it in the oven for a minute or so to melt the butter. 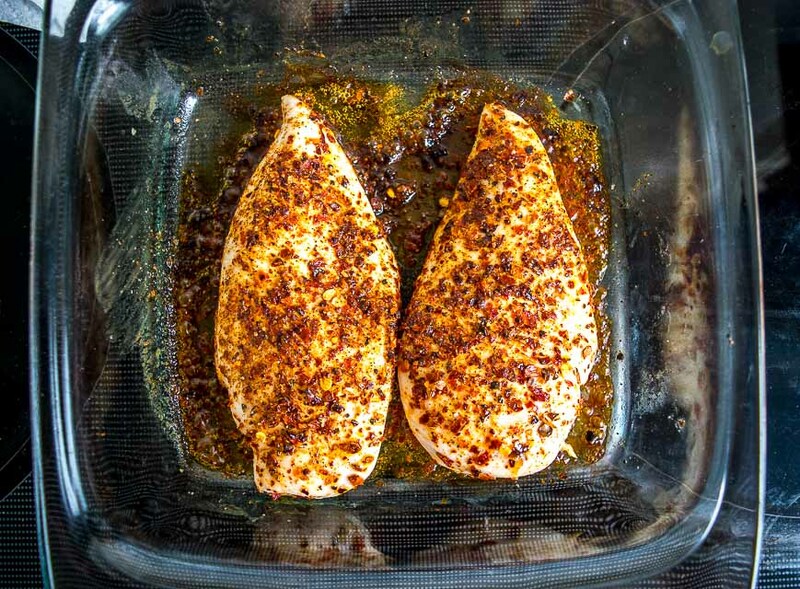 Dredge the chicken breasts in the butter and season each side liberally with your choice of seasoning (I used salt, black pepper, ground New Mexican chili and ancho chili powder). 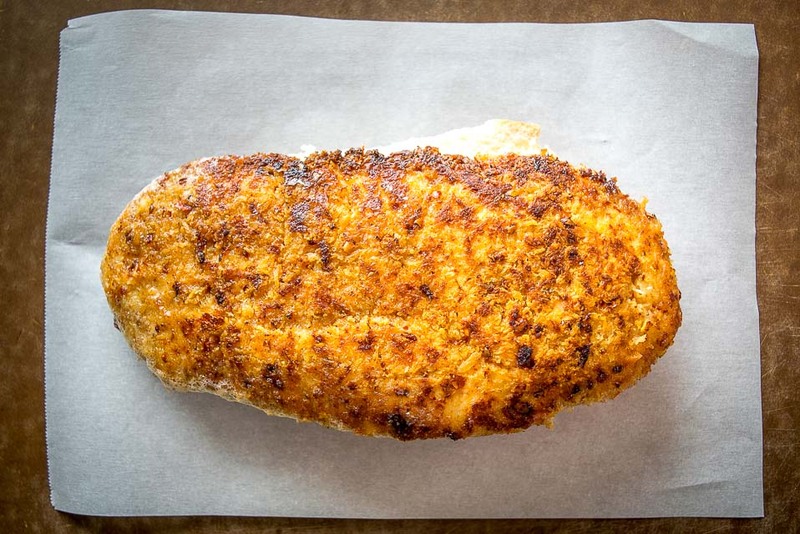 Bake chicken for 15 minutes or until the center is no longer pink. Once cooked, cover with foil and let rest for a few minutes before serving. 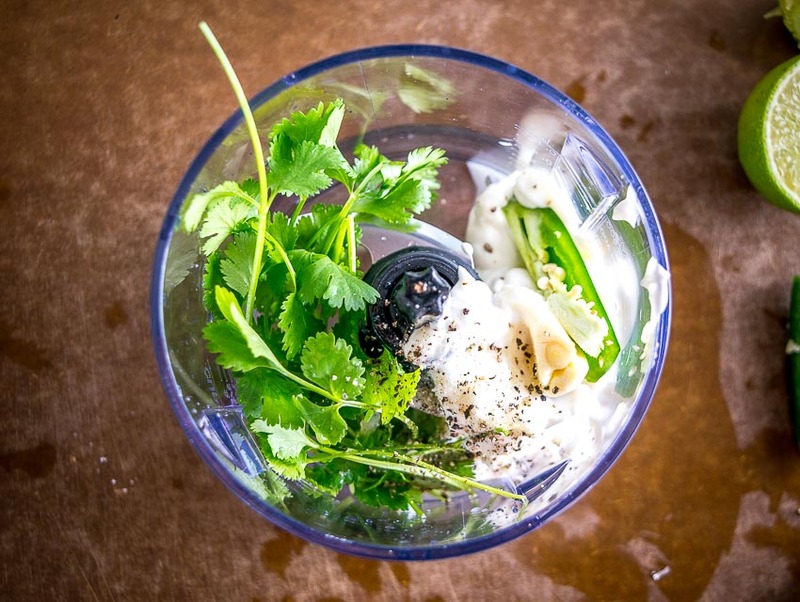 In a blender or food processor add the following ingredients: 1/2 cup mayo, 15-20 sprigs cilantro, juice of 1 lime, 1 garlic clove, 1/4 jalapeno, pinch of salt, and some freshly cracked black pepper. Combine well and take a taste, adding more lime or cilantro if necessary. I usually tear out and discard the inner portion of the sandwich rolls and then put them in the oven for the last few minutes of the chicken bake. 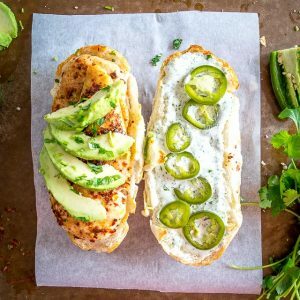 To build the sandwiches, each roll gets chicken, fresh avocado slices, and plenty of the Cilantro Lime sauce. Additional fixings include cheese, pickled jalapenos, tomatoes, and lettuce. Feel free to grill or saute the chicken as the real star of the sandwich is the Cilantro Lime sauce. I usually twist off and discard the bottom, thicker portion of the cilantro stems but use the upper stems. In the Cilantro-Lime sauce, you can substitute some or all of the mayonnaise for plain Greek yogurt. Keep in mind that if you use yogurt then adding a final dash of fat (cream or mayo) will significantly improve the flavor. 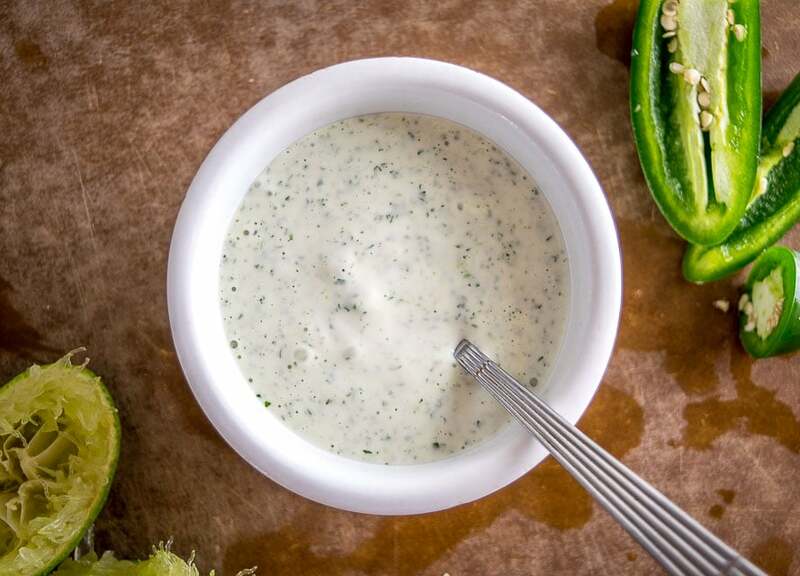 Adding 1/4 jalapeno to the Cilantro Lime sauce gives it a mild heat, but you are welcome to make a more fiery batch by adding 1/2 jalapeno or more. Still got sandwiches on your mind? 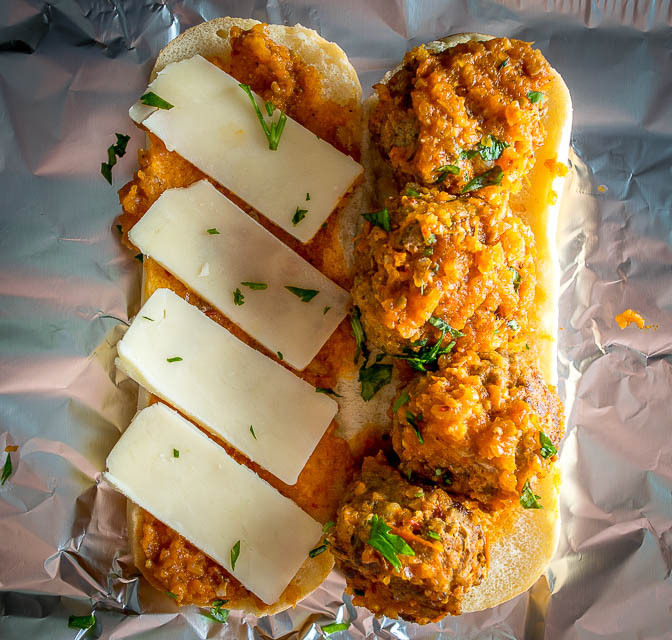 Try a meatball sub made with these Albondigas. Thanks Debbie! Hope it treats you well, I’ve been eating them all week! Looks awesome. Can I make a batch of cilantro lime sauce and store in the fridge for some days? I have just stumbled upon your site and it really looks awesome! Hey Reir thanks for your note! Yup absolutely, I always have leftover cilantro lime sauce and it’ll keep in the fridge for at least a few days — I’ve even used it when it’s beyond a week old and it was fine. It’s great to have on standby as a dipping sauce for veggies! Cheers. Patrick, I love your website and all your recipes. And I love how you write simply with pictures of every step! Foolproof all the way. Thanks for your note Karen! Really appreciate the feedback and I’m glad you are finding some keeper recipes on the site. Cheers.